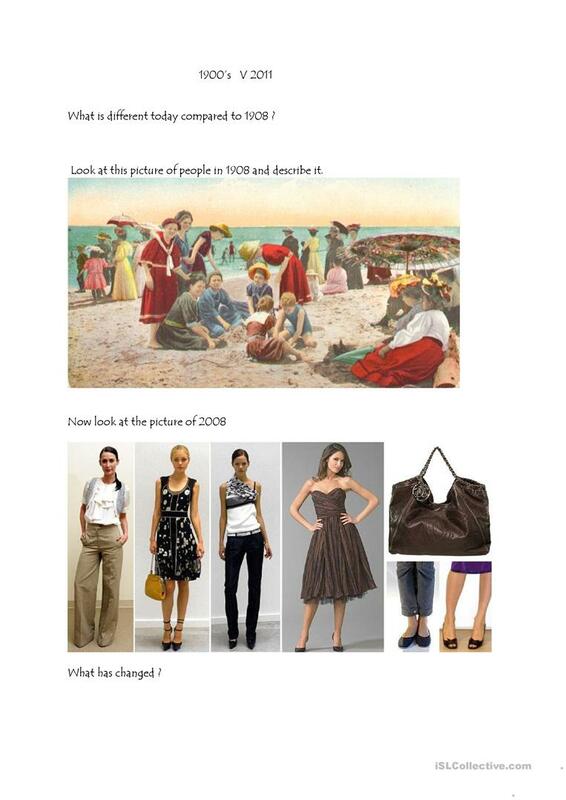 This a worksheet based on fashion today & in the past. 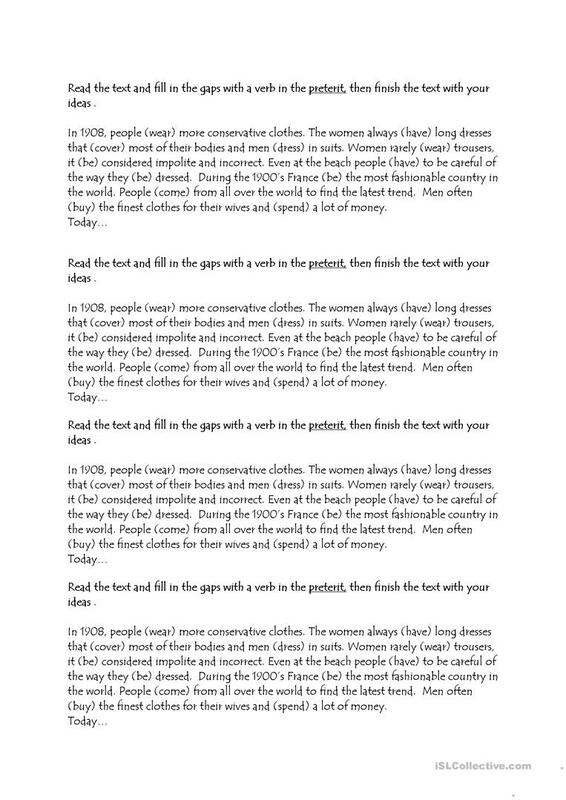 This downloadable handout is best suited for high school students at Pre-intermediate (A2) level. It is aimed at teaching Past simple & continuous tense in English, and can be used for strengthening your pupils' Speaking and Writing skills. It features the theme of Clothes, fashion. siso is from/lives in France and has been a member of iSLCollective since 2011-05-08 16:13:37. siso last logged in on 2011-05-08 16:13:37, and has shared 1 resources on iSLCollective so far.